This blog is to prepare the ground to awaken our inner potential by rekindling the positivity within all of us and help in bringing focus to achieve multi-facet success. New year begins, how about we take opportunity to channelize the ultimate resource we all have. Look around and we can spot folks jogging in the morning, doing yoga, the students working hard to excel, the leaders who are jovial and full of energy leading the masses, the mother cooking and feeding whole family, the little child incessantly playing without getting tired, the "true" spiritual leaders constantly moving around to serve humanity, and we often hear stories of yogis in bliss. These people have higher level of energy which comes naturally to a child and needs discipline and focus when we grow up because of distractions around us. The other way to have this higher level of energy is to have love for others like a mother has or passion for something. Now, how does the discipline and focus come in life. It probably comes by having a purpose. The more intensely you are glued to the purpose, the more discipline and focus you will see in that sphere of the life. Developing sense of purpose can be a very gradual process or sometimes a very heart wrecking event triggers it. The gradual process may start right in childhood, the actions, the behavior of elders, friends, people around one has a big influence. The orientation does change and affinity develops for certain aspects of life around us and drives one. Nurturing of that affinity is a struggle one fights through all the things we have around us. One has to develop a balanced approach to nurture the passion. As one grows, the responsibilities do increase and one can get pulled in different unavoidable directions. There is no reason to feel offended or feel sad for anything because of pulls from all directions. The thing that matters is you give a bit of your time to nurture the passion and have that fire kindling inside you. Be an observer of the fire within all of us, and the fire will drive you. Continuing further on importance of exercise, I would like to take a step back and align it with daily routine. The very first thing one can do in the morning is drink half-full glass of water or more as long as it does not interfere with your exercise or other following routines. Forcefully drinking water may not be good idea. Drinking water adds to your habit of staying hydrated and boosts the metabolism and keeps those toxins out. Eating healthy breakfast is a good idea. However, eating large meal at breakfast is not a good idea unless one is physically very active and justifies the quantity. The food intake should be in proportion to the physical activity one does. Otherwise, over time it builds up and we can see the bulges in the body. The next thing for many of us is going out of house to school or work. It is so important to blend that little element of joy to say “heading to office/school”, see you in the evening. It keeps that love and joyful ambience which is essence of family, and community. In our hectic life, we do not even bother to look at even our family members. The world outside takes over on us, watch it. Leaving home on a positive note, starts a beautiful day at work or school. You bring joy around yourself at work and are full of energy. Positive and negative vibes both spread around fast and we perceive the results back also. After all, we are part of ecosystem and let’s do our part to make life beautiful. This is one of the essential attributes of leadership which creates a very positive and productive environment. Stay hydrated, joyful, energetic and be a leader spreading joy around you! We created room for our priorities by getting up early in morning, aligned our inner self and our kids to the basic principle of coexistence and focused on building character in our earlier thread. What we feel, think and do all is perceived by our body. In fact, if we look deeper the body is the manifestation of what we are. We should respect our body which is the temple for our soul and is a means to execute actions in our life. The typical life of average person in this modern era driven by technologies has become very sedative and stressful. People tend to get silo'ed in their own world spending time on mobile devices and television or in front of books, computers for long hours. This often leads to different sorts of physical and mental problems. It becomes much more important to focus on our health as we live far from natural life now. Flus, fevers, heart-problems, diabetes, neck problems, back-ache, doctor visits all have become so common around us. All issues like body-aches, head-ache, nausea in flu season, ability to not enjoy food in a party can be mitigated by regular exercise. Exercise helps in keeping the body fit. It increases body immunization by increasing blood flow, release of toxins, lubricating the joints which can otherwise start getting rusted. We recommend Yoga as the best exercise routine and Sukshma Vyayam is our pick. Engaging into sports, or any other exercise on regular basis to one's taste is the best thing one can do to their body. We really like an old lady saying regular exercise is like an investment from which you will withdraw in old age. When to exercise and the kind of exercise may depend from individual to individual. It is equally important that kids stay physically active in the age of video-games. We wish you good health and in your endeavor to stay healthy and inspire others to be healthy. Where is the genesis of happiness? Continuing on our last blog of "The morning ritual for stirring up self-belief" , it becomes an important aspect to stick to values and much of that orientation starts happening by sparing some time for self-introspection as a ritual. The integrity, the character results in an immense force within. It stands out and makes one leader in masses at home, community, and work because the vision starts changing beyond just the self. When we live for others, the greater part of consciousness starts following us, such is the power of service. See the true leaders around us, who do they work for and you will get the answer. We all are human being and have room to grow stronger psychologically. It is for this reason a belief system is so important which kindles the light of optimism in us and where we surrender ourselves to the iconic super-power we believe in. We believe that is why our ancestors created the system of religion which gives us constant hope throughout the life. Every morning, we should take time to reflect on ourselves and our karma and keep constantly aligning ourselves to the greater purpose of creative consciousness. A very expressive idol of a God blessing you with their hands, giving you offerings, their holy feet, a picture of a saint or a guru who you believe in, a beautiful temple, lighted lamps or anything which helps you immerse in the infinite consciousness is recommended to stir up self-belief. Focusing on feet helps in shredding the ego and helps us learn the way to live with surrender, your pure actions in day to day life will intensify your ability to visualize the iconic idol blessing you with fortune. It is such a beautiful communion with the greater consciousness that after the few moments of getting lost in your ritual will transform you into a totally different being who does what they resolve for. Taking care of our own body as a wonderful means to live for the purpose of creation. Having the sense of service in every action of ours, laughing out a lot and seeing others laugh, inspiring others to stay fit, eating delicious, eating healthy, dressing well, looking great, working together as a team to serve a greater purpose at work to align with organization goal or doing a community service. Service makes it a beautiful engaging life experience. The morning ritual is a transforming habit and at Goal Mantra we believe we all should do it and stay inspired by reading many role models and see how is their morning ritual. Got time to connect with yourself? As we grow, we start getting tangled into things surrounding us. We get pulled in all directions whether it is job, kids, extended family, friends and we are mostly defined by them. The ease of access to technology, resources and people can sometimes be overwhelming when it hijacks us from focusing on important aspects of our life. Life can easily get out of control and many times we may see things start falling apart like having health issues, job not going well at work, kids not doing well in their studies and the problem list goes on. Among this busy schedule, there is no time left where "I" can be just "me". Finding such time is so important to lead a balanced and more fulfilling life. After much contemplation, we felt early in morning is the best time to connect with oneself. Look around and see if you find this habit common in the people who you think are successful. If you are a morning bird you already won half of the battle. You should thank your parents for this habit and we all should pass on this habit to our children for their bright future. It will be a true blessing for our kids. There is another camp where many people believe in the fact that it does not matter. Watching TV late, getting up late, skipping breakfast, rushing to office, forgetting things, getting late to meetings, seeing work, cooking and whole life as burden is also typical for many of us. Many people find themselves effective working late night and are happy with the way they are. However, we felt to have a balanced healthy life, morning birds are at advantage over night owl because there are no distractions in early mornings so it may be worth changing the habits. It is not easy for a night owl to become a morning bird. Key to getting up early is to go to bed early, that's why we say "Early to bed, early to rise makes a man healthy, wealthy and wise". One can gradually shift schedule to sleep earlier say by 15 minutes each week and try to adhere to it over weekends because body tries to follow a bio-rhythm. Prepare yourself psychologically by reading about "Benefits of getting up early". Have you wondered why the successful people have so much energy, why they get up early in morning? We believe the energy generated out of passion to achieve a mission takes their brain to a more awakened state and it drives them out of bed into the field of action. This is the reason why finding our passion becomes the most important thing as it elevates the energy level in the body and makes getting up early much easier. We can see the passion, connecting to yourself, getting up early are all so related to each other which ultimately provides us the inner strength to fulfill our wishes. GoalMantra wishes you all the best in finding a mission, you are passionate about. The mission can be as simple as a project at your work or doing something big for community around you. A mission which glues you to the life and makes it a more engaging and blissful experience. Once you reach that state, you will automatically become a morning bird and inspire many others. If all is well and you are happy then stick to what you are doing as ultimate goal is to "Stay happy and healthy". Before we talk about rituals to help increase our self-belief, we felt the need of "embracing simplicity and let go off that ego which builds vicious environment around us". As we grow older, we take on many things from our surroundings nourishing the logical mind and also build so much of ego without becoming cognizant of the complexity all this weaves around us. This complexity manifests all around us when we see the frowns on faces which should otherwise exude simplicity. It becomes so hard to quieten the mind because of so many thoughts wandering in the logical mind. The ego does not let us surrender ourselves even to our own thought process to fulfill our own wishes. Those who can surrender, reach the state of extreme focus and just make it happen. Their unwavering mind connects the dots and brings the forces together to close the gaps. The journey of "becoming simple" is not easy one especially in the world we live in. However, becoming aware of the fact what it means to us will make this journey much easier and we will see the gradual change in our aura, our face, our smile, carefree laughs, our words. It becomes the force behind self-pride which we may not even realize. The self-pride which has simplicity in the root becomes the very reason to fight what comes on the way. Simplicity draws people towards us and self-pride helps a person move forward towards their own goals. Ego on the other hand takes us a step back so beware of what it does before we nurture it. Goal Mantra wishes you the best in your journey of embracing simplicity which is foremost element in preparing us for the ritual which stirs up self-belief. In our next blog we will prepare for creating room to perform this ritual. © Goal Mantra LLC, 2015 - 2025. All rights reserved. Unauthorized use and/or duplication of this material without express and written permission from this blog’s authors is strictly prohibited. Excerpts and links may be used, provided that full and clear credit is given to www.goalmantra.com with appropriate and specific direction to the original content. All content provided on this blog/website is for informational purposes only. The owner of this blog/website makes no representations as to the accuracy or completeness of any information on this site or found by following any link on this site. 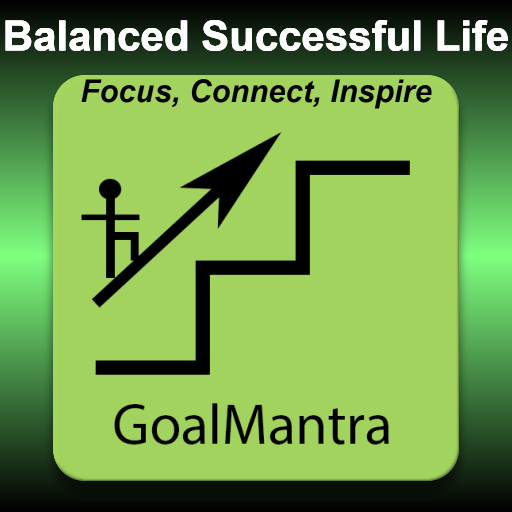 The authors and owners of www.goalmantra.com will not be liable for any errors or omissions in this information nor for the availability of this information. The owner will not be liable for any losses, injuries, or damages from the display or use of this information. This blog does not represent or endorse the accuracy or reliability of any information's, content or advertisements contained on, distributed through, or linked, downloaded or accessed from any of the services contained on this website, nor the quality of any products, information's or any other material displayed,purchased, or obtained by you as a result of an advertisement or any other information's or offer in or in connection with the services herein.